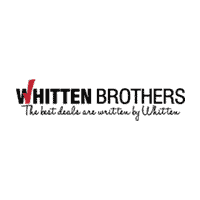 At Whitten Brothers of Richmond we offer a range of financing options, including leases and car loans in Richmond, VA. We’re eager to provide financing for your new car, or we can assist in used car financing. We work with all types of credit – both good and bad – to provide car loans for new and used cars, trucks, and SUVs. Applying for credit is easy, and you can get started financing a purchase or lease right here. The form below provides us with information we need to help find the payment and terms that work best for you. Fill out the form below to begin the process of being approved for auto financing with Whitten Brothers of Richmond, then visit our Richmond dealership on Midlothian Turnpike to find the used or new car in Richmond that you’ve been wanting.